Save 10% when you receive 5 or more products in one month to one address with auto-deliveries. Currently, you'll save 5% on your Jun 23 delivery. 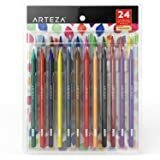 Amazon's Choice for "arteza watercolor brush pens"
Sold by ARTEZA and Fulfilled by Amazon. Gift-wrap available. 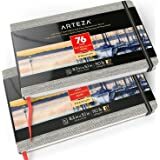 Sold by ARTEZA and ships from Amazon Fulfillment. and inspire our hearts to create something new and beautiful. and solidify them from the depths of your imagination. your creative projects never come to an unforeseen end. A single pen lasts for quite a few paintings before needing to be refilled. effects like line variations, and harmoniously alternating gradients. response to pressure and allow for delicate lines or broad pools of color. 4.0 out of 5 starsToo much water? Here’s a fix! 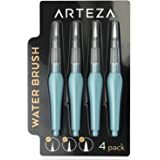 This is a nice set of brushes for the money but I found they deliver too much water without even pressing the button - I found a fix! 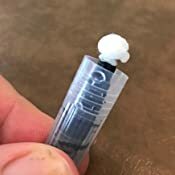 Take a small bit of cotton ball or tip from a cotton swab and roll one end into a tail that’s just big enough that you can tuck it ( with toothpick) into the brush head’s water tube - leave the other end of the cotton a bit bigger and let that sit over the tube - screw the pen back together and now the cotton slows the flow of the water and it is easier to control - hope this works for you! These brushes are amazing and I love them! The nylon brush tips are very, very soft. The water distribution is constant so I rarely need to squeeze the barrel, but it also means you need to be extra patient and let an area dry before painting over it again or you'll lift what's already on the paper. These are so much fun! I find myself wanting to paint more just to use these things and have done 3 watercolor paintings since I got them. It seems they'll last for quite a few paintings before needing to refill the barrels once filled. They feel very comfortable in my hands even though they're thicker than your average brush. They brushes hold their point very well. I have no complaints whatsoever about these, and will update this review as needed. 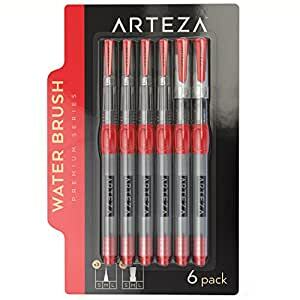 I bought these hoping to the gods that this would be the holy grail of water brushes. I had injured my wrist in a way that made it so that I couldn't squeeze anything, including any of the water brushes that I had, and the recovery for my wrist has taken 4 months so far. I watched a review on these brushes that said that they were easier to use and that they were really good for arthritis and other hand problems, so I figured why not. 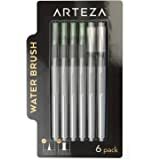 I can absolutely say that these are the best water brushes to get if you have any issues squeezing the water out of other brushes. The reservoir is larger than most water brushes and the squishy (silicone, i think) section in the middle is way easier on my wrist as opposed the squeezing the entire reservoir on most water brushes. Not too mention that there are more sizes than most other water brushes. I highly recommend these brushes to anyone with or without hand/wrist issues who also don't want to hinder their creativity. 5.0 out of 5 starsSoft bristles, super convenient and comfortable. 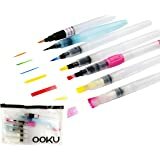 5.0 out of 5 starsBest Water Pens I’ve ever used! These are absolutely the best. Six different sized tips! I am so in love with the concept. They don’t leak. 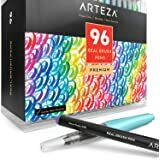 They do a great job, and are so easy to use......I wish I had Arteza’s whole line. I have a feeling everything they sell is going to be of the highest quality. 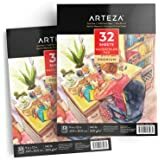 Thank you Arteza for making my art life not only more fun, but also easier! 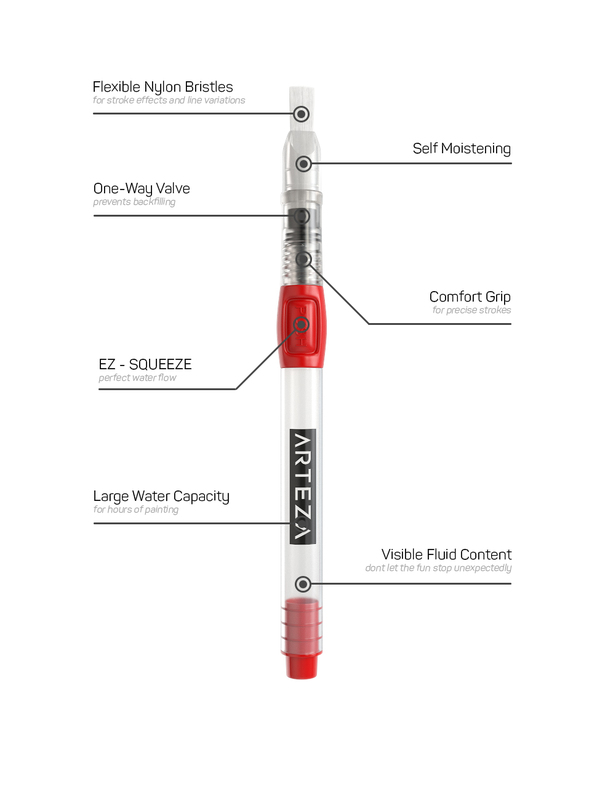 I own 2 other brands of water brushes, but these from Arteza are the best. 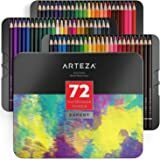 I have more control over the water output and the 6 different sizes come in handy when I am coloring in my adult coloring books or on watercolor paper. 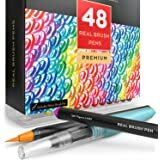 I will definitely recommend these brushes for the colorists.Most people just squeeze them every time they want to paint. That is not the correct usage. I squeeze when I want to start getting the brush wet. After that I only run them over a baby wipe. 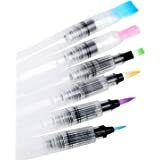 The baby wipe gives enough moisture along with the water in the brush to dampen your watercolor medium and most adult coloring books can handle a damp brush. 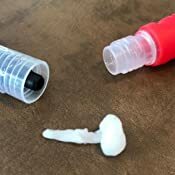 I wipe off the tip if I feel I have too much water. Wipe off the tip frequently. At any rate, I will continue to use these brushes and in the future buy them again. These pens are really great for the price. Good quality and I'm super impressed for the price I paid. 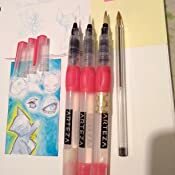 It comes with 6 water brush pens and I use just about all of them! The larger brushes are harder to control the water flow because they have either so much water in them its a little overwhelming or they tend to be so dry you can barely use then and there's really no in between. The water does flow considerably well however, wetting the bristles well enough (in the medium sizes) the rubber squeeze button is nice if a little weirdly shaped, causing me to readjust my grip to squeeze it properly. Nonetheless, I would definitely recommend these to any starting out artist with a tight budget and even a professional. The caps for the larger brushes don't have a stopping point and with enough pressure, you have the potential to damage the bristles because the lid simply slips on over the barrel. The smaller brush tips don't have that issue. They also roll all over the place and the caps don't stay on the ends of the brushes during use. 5.0 out of 5 starsMess free and easy to use. I'm a first time user of these but grew up using water colors. These are really easy to use. Once the tip is wet it remains just wet enough to spread the paint. I was using water color pencils with them. There's a little pump on the side. 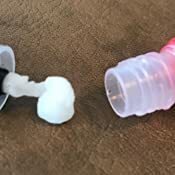 I squeezed it and got the tip wet. I then wiped off the excess on a paper towel & proceeded to paint. As I said the tip remains wet so don't squeeze it again unless you're cleaning off the end. I really like these and recommend them.